With automation and technology advancing everyday, today’s students need to learn how to think critically and problem solve. These are skills that require extensive nurturing throughout childhood development. One way teachers, therapists, and parents can help is to ask critical thinking questions for kids throughout the day. Not only does this build problem-solving skills it also boosts executive functioning skills. One of the easiest ways to discuss critical thinking questions with students is to respond to their questions with an open-ended question. Try this first rather than just providing the answer. These type of questions require students to think about what they are asking instead of just getting a response. For example during an occupational therapy session students may ask “why do I have to do chair push-ups before handwriting practice”? Instead of explaining that the shoulder muscles need to be strong in order for the hands to write, respond by asking a question back such as “what benefit do you think the chair push-ups provide”? 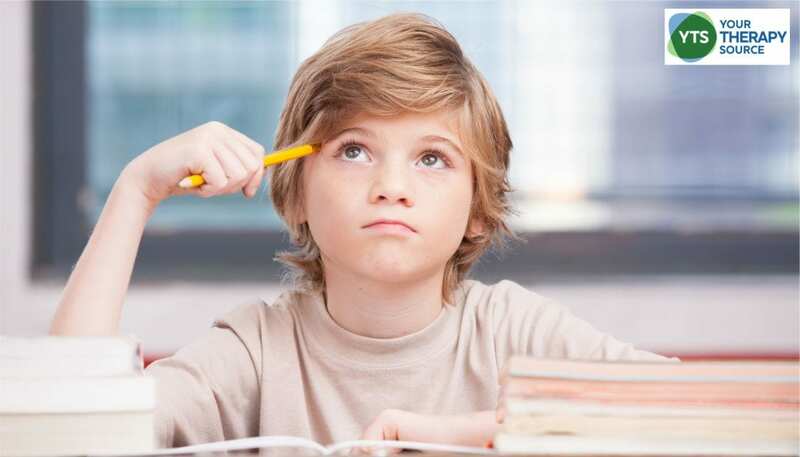 If you need to provide more detail you could ask a question back such as “how do you think the chair push-ups might help your hands to write?” This provides the student with the opportunity to think more deeply about the question. Make sure you pause and wait for students to respond to your question. Give them ample time to formulate and answer to their own question. Make sure students have ample time to choose their own activities. When children can play and explore new skills and topics, it is particularly beneficial. When children are over-scheduled, then it becomes difficult for them to problem solve. Running from one activity to the next, results in every minute being planned and frequently directed by adults especially for young children. Free play time, recess, and after school “play dates” are perfect opportunities for children to learn critical thinking skills. When teaching children new skills whether it be cognitive, motor, visual or activities of daily living skills, observe and ask what may come next. Encourage children to think about what the next step may be before automatically instructing them in that step. Again, give them time to think and hypothesize about what might need to occur next to accomplish the skill. Most of us have smartphones at our fingertips to get any questions answered without even having to type. Siri, Alexa, Cortana are all available to answer your verbal questions without you having to lift a finger. Encouraging children to think more deeply and problem solve is so important. In many situations, asking open-ended questions such as “what would happen if…” or what would you do if…” can be the first step in critical thinking. You can get very creative with these types of questions to facilitate students to dig deeper and use their creativity and ingenuity to answer questions. 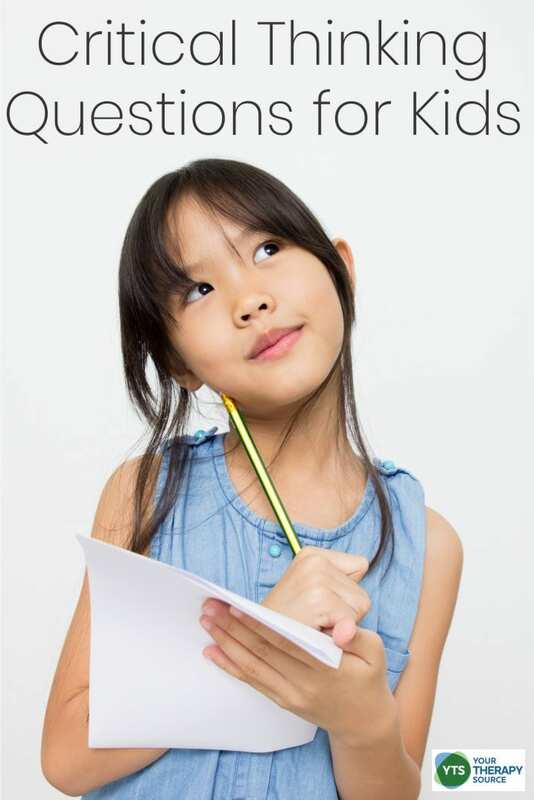 Try using the Think Outside the Box questions to foster critical thinking skills. The 50 Think Outside the Box questions encourage children to use their imagination, intelligence, and creativity to solve problems and list ideas. This packet includes 50 questions and 3 response sheets to record answers (single lined and dotted lines). Find out more!